Stelma Kastl. In 2017, the company expanded when Mr. Joe Cardi joined the organization as part-owner. The company’s mission is to provide “best in class” sales, service and installation for HVAC systems in Northeast OH with emphasis on providing quality products, professional service and fair and affordable prices. projects after work and on weekends – everything from service calls for broken furnaces or air conditioners to complete sales and installation of HVAC systems for residential or commercial projects. A few years ago, one of those seeking out Karl’s services was Joe Cardi, a friend and neighbor of the Kastl family, when Joe needed a new furnace for his home. Joe had over 25 years’ experience operating his own companies. 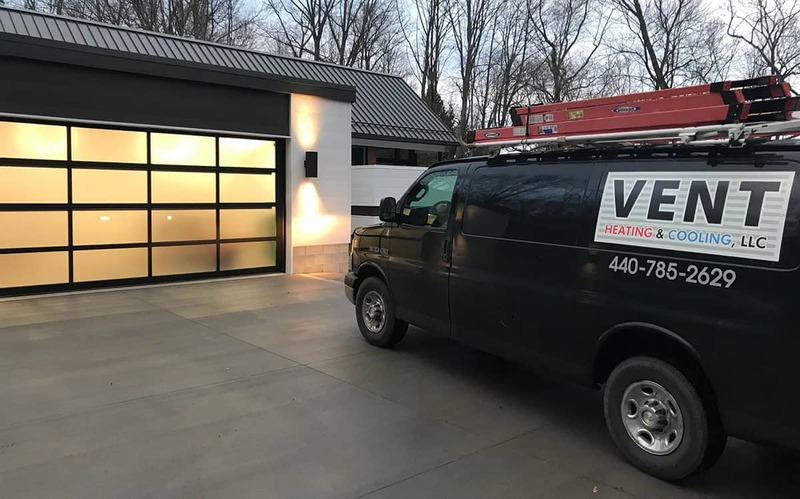 With Joe’s solid business and operations management background, and Karl’s vast expertise in the HVAC industry, they quickly came to the realization that they could partner to form a joint venture – and thus VENT Heating and Cooling LLC was formed. The company values diversity. Mrs. Kastl is female and Hispanic, making VENT Heating and Cooling LLC uniquely positioned as a minority part-owned and operated HVAC company serving communities in Northeast Ohio. From our company’s inception, we have valued our reputation for dealing honestly and professionally with our customers using the Golden Rule: “Treat others the way you would want to be treated.” That strategy has worked. We service all makes of residential and commercial furnaces and air conditioners. The company has grown rapidly, and currently operates a fleet of 8 service vans that are dispatched daily to areas around Cleveland OH for sales and service. In addition, the company has performed HVAC installations for a variety of commercial construction projects in cities such as Cleveland, Youngstown, Akron, Toledo and Columbus. Our rapid growth has caught the attention of major HVAC suppliers in the area. In 2019, the company became an authorized dealer for Carrier heating and cooling products. Carrier is one of the world’s largest manufacturers of residential and commercial furnaces and air conditioners. Willis Carrier is credited with inventing the modern air conditioner in the early 1900s. VENT Heating and Cooling LLC offers a full line of Carrier-branded furnaces, air conditioners and related HVAC accessories for virtually any residential or commercial application. In addition to the Carrier brand, VENT has product offerings from Payne and Heil. We also offer numerous brands of indoor air quality solutions including electronic air cleaners, humidifiers, ductless heating and cooling systems, WiFi-enabled thermostats and much more. The company offers financing for its products as well. With such an impressive array of products and finance options to help with affordability, we’re able to tailor a comfort HVAC solution to fit almost anyone’s budget.